For a majority of the world’s population, cryptocurrency and blockchain technologies are still completely unknown terms, let alone ideas that people have any coherent understanding of in regards to how they work and what they mean for the future. For those who have at least heard of the concepts, Bitcoin is often their only reference point in the field, which is understandable, as it is the first successful cryptocurrency and implementation of the blockchain technology. This allowed Bitcoin to jump out of the gate as the industry leader, allowing it far more exposure over time and around the world. However, given the revolutionary applications possible through blockchain technologies, Bitcoin was inevitably not going to be the only cryptocurrency/technology to enter this new space of possibility. While this field is still very new and undefined, there are a plethora of new technologies, businesses, and cryptocurrencies being developed at this very moment that make Bitcoin just one component in a vastly expanding realm. 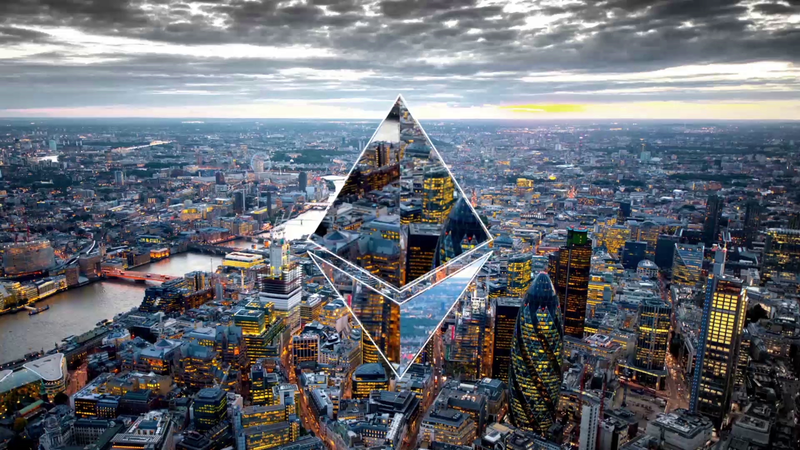 One in particular, Ethereum, has really gained a lot of traction as of late, catapulting it all the way up to the number two-rated cryptocurrency in terms of market cap and price, behind only Bitcoin. While it is well behind Bitcoin at the moment, the growth rate and potential capabilities of this new technology has many, in both the crypto-world and mainstream finance, buzzing with excitement about where it could go moving forward. Now Ethereum isn’t the only alternative cryptocurrency out there; in fact there are more than 750 cryptocurrencies that currently exist. Many of them have been referred to as “Bitcoin 2.0” as they were designed very similar to Bitcoin, but with slightly different features. Many of them will eventually have a value of zero in all honesty. However, others, mainly Ethereum, have developed into something that is fundamentally different from Bitcoin, providing value in new areas for users. “Ethereum is a decentralized platform that runs smart contracts: applications that run exactly as programmed without any possibility of downtime, censorship, fraud, or third party interference. Some people have described Ethereum as a Supercomputer or Global Computer, while others have described it as the Web 3.0 or The Law of the Internet, but the basic idea is that it’s a single shared computer for users to exchange value that is run by its decentralized network of users. Another way to describe Ethereum is a decentralized virtual machine that can execute peer-to-peer contracts using its own fuel/cryptocurrency to power it, called Ether. The virtual supercomputer, which doesn’t exist in one physical location, runs on a custom-built blockchain that uses open source software code and allows for a shared infrastructure that can move around value and honor contracts without the need for a central controller or a trusted third-party. These contracts, which are often referred to as smart contracts, are essentially the same as contracts in real life, but instead of being written out on paper and requiring third-party to arbitration, the contracts are programmed into the blockchain as computer programs (Turing-complete coding language) that then become self-executing contracts. Essentially, the Ethereum network (blockchain) is the arbitrator and simply carries out what is programmed into it. For example, when someone develops a will, they sometimes hire a lawyer to write it out as well as use a lawyer to interpret it once it is breached or executed. However, if the will were uploaded as a smart contract on to the blockchain, the blockchain alone could divvy out the remains of the will upon activation, aka the death, without the need to pay for a third-party to get involved. Blockchain Apparatus is a company already aiming to build the infrastructure for these self-executing wills using the Ethereum platform. Another example of a smart contract that could be implemented using the Ethereum network is financial derivatives. 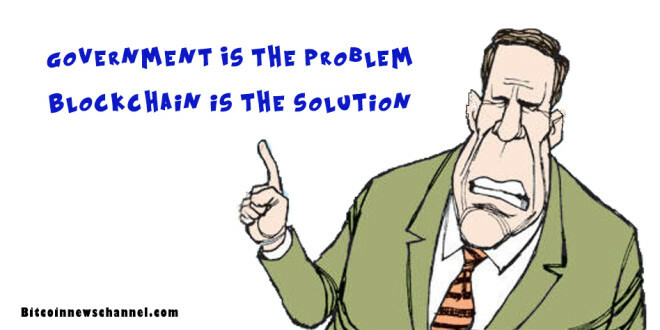 So when Person A agrees to buy a select item at a stated price on a specific date, instead of the company who issued the contract having to trust the other person to pay or utilize third-party clearing houses to make sure accounts are cleared, the blockchain would simply facilitate the transaction between the two parties directly and distribute out the payment instantaneously based upon the set agreements that were programmed in. It also can store all this information on the blockchain as well as integrate more efficiently with other users to keep real-time pricing, information, and transactions up-to-date. Banks like Barclays and JP Morgan Chase are already investing and researching into these technologies through a consortium called R3. Here is further reading for those interested. One last example to checkout on your own is a new ride sharing platform called Arcade City, which aims to replace Uber by allowing the decentralized network of drivers to control the company directly, instead of the central controlled business, Uber, facilitating the ridesharing. To put it simply, Ethereum allows parties to trust each other in contracts without the need for mediators or businesses to facilitate, since the decentralized network (blockchain) will distribute out exactly what is programmed in. The network acts as all the trust that is needed; and with all the data operating on one network, unnecessary overhead/processing fees due to hard to maintain and incompatible databases are greatly reduced. The network is also very reliable due to its decentralized design, making it very hard to stop, as there is no central point to attack. Governments, hackers, businesses, and central banks will find it incredibly hard to interfere with or control the system, which bodes well for those that advocate for freedom and decentralized power. Essentially, the computer can never be turned off, unless the Internet is completely dismantled. Ethereum was originally described in a white paper by Russian Canadian Vitalik Buterin, a programmer involved with Bitcoin, in late 2013. 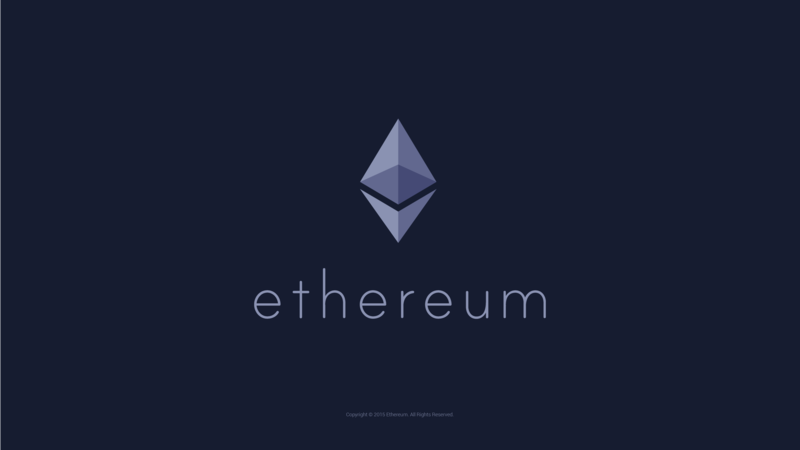 Other founders of Ethereum include Amir Chetrit, Anthony Di Iorio, Jeffrey Wilcke, Gavin Wood, and Joseph Lubin. The goal was to use blockchain technology for decentralized applications such as smart contracts, instead of strictly limited to peer-to-peer financial transactions. Initial funding for the Ethereum project was provided by a public crowdsale in July and August 2014 that took in 31,529 bitcoins, worth approximately $18.5 million at the time. In exchange 60,102,216 Ether were disbursed amongst the donors. The Ethereum blockchain went live on July 30th, 2015, six and a half years after Bitcoin was first introduced. Currently, Ethereum trades at around $14 per Ether and has a market capitalization a little over one billion dollars, a feat reached in May 2016. Some other features that stand out with Ethereum are its Proof of Stake (POS) mining system as opposed to the Bitcoin network, which uses Proof of Work (POW). It’s important to understand that Ethereum uses the Proof of Work model currently, but the plan is to move to a Proof Of Stake system once it scales up more. The reason for the move is that many worry once the supply is capped; mining will become too centralized due to lower financial incentive and higher-energy costs, which weeds out the small level miners. In Proof Of Stake, miners are required to have a direct stake in Ethereum in order to mine it. Essentially, miners can only mine the same amount of Ether they have in their account. In theory, this should discourage miners from doing anything detrimental to the system since they have a personal stake in its success. Another small feature that should be noted and still needs to be addressed is what the total supply of Ether will be. Right now, five new Ether are minted every 13 seconds with a total supply of over 80 million. The Ethereum team has stated that they plan on lowering this number once the POS switch is made and possibly even capping off the supply completely at a certain point. While this isn’t a big deal in the early stages, the hope has to be that the supply is limited similar to Bitcoin, so that no central controller can add to the supply and dilute the value. This should be especially important since most in the decentralized community of cryptocurrency have migrated here due to the overprinting and over regulation of other currencies and payment systems. Having systems tied down to objective rules is helpful to investors, users, and developers because it gives them fixed variables to rely upon. This builds strong foundations and makes for sound money. One of most promising aspects about Ethereum is that it is such an open platform for all types of people, organizations and businesses to come in and develop upon. Anyone can put smart contracts on to the blockchain and anyone can use the blockchain to develop whatever applications they would like. 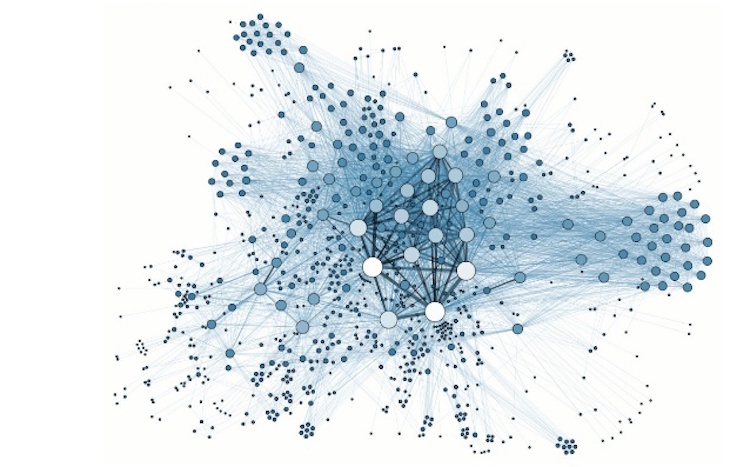 The decentralized blockchain just honors the data it comes across, not caring whom, why, or where it came from. In this regard, it is a highly flexible system that allows for a diverse set of players, applications, and systems. Everyone is a first class citizen in the network, similar to the Internet where all the data is treated equally. No doubt this has led to a synergistic environment amongst the community, with everyone building off each other to benefit from both themselves and the network as a whole. One of the exciting possibilities for Ethereum is the cultivation of a variety of different decentralized autonomous organizations (DAO’s), which are basically new business organizations that run through rules incorporated in computer programs, aka smart contracts. In this regard, businesses can operate in a decentralized manner based on rules that are voluntarily agreed upon by its members and subsequently programmed into the blockchain as smart contracts. In this type of horizontal business structure, there is no need for a central decision maker. In theory, these organizations should morph into democratic institutions where everyone in the group gets to consider proposals and vote on them, as well as everyone sharing in the profits and loses of the organization. This comes in sharp contrast to most companies today, which have central controllers that dictate the direction of the company, while the stockholders receive dividends, but don’t usually have voting or creative rights. Bitcoin is considered an early example of a Decentralized Autonomous Organization, but Ethereum seems to have taken it a step further by using smart contracts to establish some type of agreed upon structure to these organizations. A new DAO was recently launched in May 2016 thanks to the most successful crowdfund in history, taking in around $150 million from more than 11,000 investors, with the largest stake at just 4% of the total. In exchange, tokens were issued out, which are basically stocks in the company as well as voting rights. Literally called “The Dao,” it formed as an investor-directed venture capital fund, with an objective to provide a new decentralized business model for organizing both commercial and non-profit enterprises. It is designed to both build the infrastructure of Ethereum for everyone in the network (nonprofit) and invest in Ethermeum startups for the profit of its investors (commercial). In this regard, the direction of the company relies on the creative and democratic will of the group, instead of some central board of directors. There are countless other possibilities that could stem from Ethereum such as new democratic structures in government to decentralized banking systems to new media distribution platforms. In theory, the use of blockchains and smart contracts could revolutionize everything that is currently centrally controlled and make it more decentralized in nature with open transparency and incredible precision. Ethereum could potentially bring the entire world onto one operating platform that is open to everyone, yet has no central force dominating it. It will allow the ever-growing peer-to-peer sharing economy to scale unheard of heights, which naturally hurts big business, but empowers the individual. Ethereum allows for a new economy, the people’s economy, all based upon the mathematics of blockchain and the decentralized law of smart contracts. One of the obvious barriers to success is a lack of understanding amongst the general public on the subject due to its highly technical nature and the fact that it is still a very new and raw technology. Usually innovative ideas like this do not hit the mainstream culture until they are fully developed and understood. While this is good in some regard, since all new technologies should be tested thoroughly before being utilized on a massive scale, it can also be to the detriment of many people in that the average person will miss out on the initial creative design of the system as well as the profits that will likely ensue. If Ethereum lives up to its potential, financial stakes and technological infrastructures will fill out quick, leaving smaller gains for the average person that gets in too late. Another major obstacle for Ethereum is security. From a technical standpoint, Ethereum has more complex software than Bitcoin and has undergone far less testing, which means there is a lot more that can go wrong, especially as it begins to scale and take on larger workloads. Undoubtedly, the system will need to address these security concerns, especially if it wants to gain mainstream adoption. Since cryptocurrency is more technical compared to other financial instruments, many average users are scared of putting their money in new digital assets like Ethereum and Bitcoin. The importance of security will also be tested from a government standpoint, as these new payment systems can operate across borders and outside of today’s legal jurisdictions. In many ways, these are both new economic systems, since it is a peer-to-peer money system, and new ways of governance/law, in that new systems of law are created due to smart contracts being programmed into the network. This is a whole new paradigm of money and governance, so naturally that scares a ton of people away. While this may not be a big deal yet, if the world of cryptocurrency and blockchain continue to scale larger, they will inevitable come face to face with the established economic/governmental system that aims to maintain its continued dominance. The result of this confrontation is unknown, but it will be an absolutely necessary battle in the journey to create a new financial and cultural paradigm. Finally, scaling and in-group fighting are going to be some of the other major hurdles to success for Ethereum. Scaling is essential to any new technology, especially a new currency. With the Ethereum network being decentralized, facilitating an environment where users cooperate with each other and build off one another as opposed to constantly competing in unhealthy manners, or worse, sabotaging one another, will be incredibly important; just ask Bitcoin, which is stalled at the moment because of that very issue of in-fighting. Also, the network will need to scale in design in order to handle more transactions per day, especially if it is going to break into big markets like derivatives. Again, Bitcoin is having the same problem of network scalability in terms of handling large volumes, which is undeniably holding it back from exploding to new heights. Ethereum has the added advantage of watching and learning from Bitcoin, but they are still playing catch-up and will undoubtedly have to go through their own growing pains along the way. Finally, Bitcoin is aiming to implement its own smart contact system called Rootstock, which could rival Ethereum if rolled out effectively. It’s going to be very interesting to see how these completely new systems of cryptocurrency and blockchain technology are implemented into our current paradigm. I think when looking at Ethereum, it’s important to not only look at it from a technical perspective, such as what it can actually do for society, but also from a socio-cultural perspective, such as how existing systems will react and interact with it. 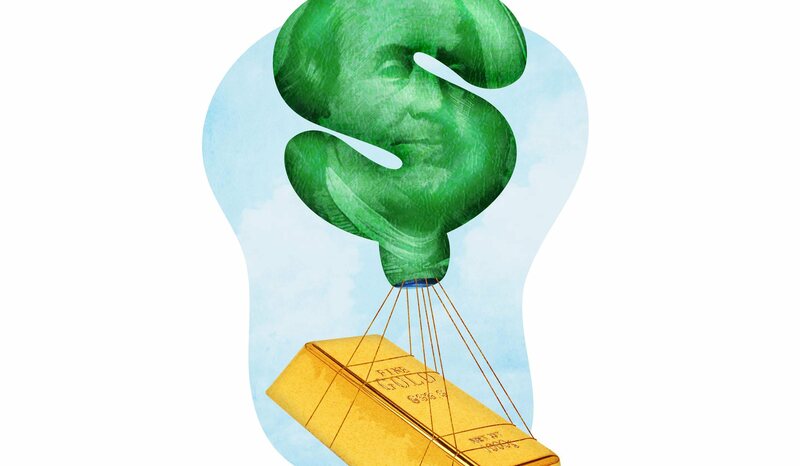 It seems more and more clear that the current paradigm of money is heading towards a major collapse, revaluation, and redesign. I strongly believe these new cryptocurrencies and blockchain technologies are going to play major roles in the new monetary system that is slowly coming into focus. Ethereum and Bitcoin, along with some other familiar financial instruments, such as precious metals, real estate/commodities, alternative cryptocurrencies, and even Fiat, will all be meshed together into one new financial paradigm. They are all likely to play a role, which will undoubtedly be decided in the coming years. It seems quite clear that our new system should not be a one size fits all equation, but instead needs to be a competing system of various stores of value and payment systems, which all intertwine and pull on each other to create one strong fabric that is all hedged together. This technology is not a fad and not going away. In fact, it’s really just getting started. This is a whole new systemic design of economies and government happening before our very eyes, so if you want to change the world in major ways, now is the time to get involved and participate. There will be plenty of challenges along the way and major push back from the established system, but these new tools of cryptocurrencies, blockchains, and smart contracts allow us to change the game like never before. The tools are there; we just have to learn to come together and use them correctly, because ultimately it will be us who design the future. Let’s build bridges, instead of bringing each other down.